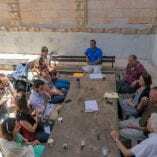 Following the Oslo peace agreements, in 1996 the Arava Institute for Environmental Studies was founded as an academic and research center for environmental leadership in the Middle East. 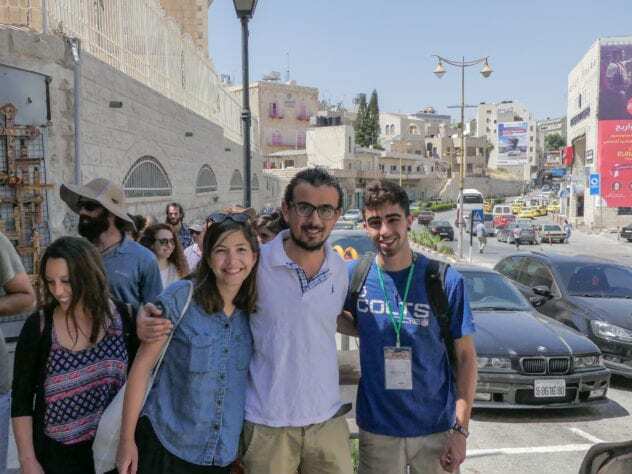 Over the years, more than 850 alumni from Israel, Jordan, Palestine, and around the world have studied, interned, and lived together, while engaging in one of the most open and honest dialogues about the future of the Middle East. Institute students and interns form personal connections, develop skills that enable them to lead their communities to address today’s most pressing environmental challenges, and work towards our shared dream of a secure and sustainable world. 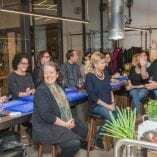 In 2016 we will be hosting several events in celebration of two decades of innovative environmental and peace-building work at the Arava Institute. We thank you for all your support over these transformative years and hope you will join us at these upcoming events. 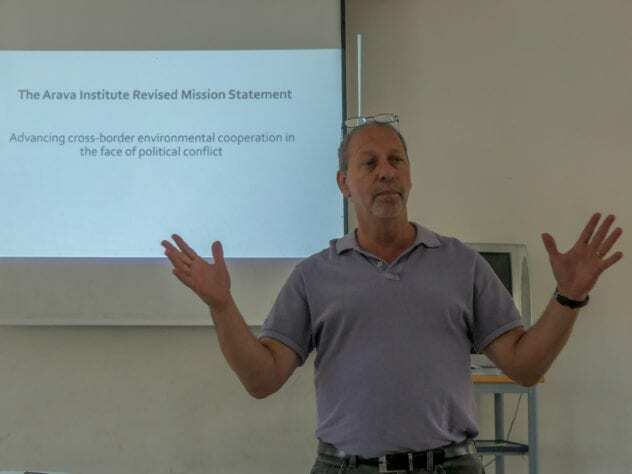 This September, the Arava Institute for Environmental Studies is holding its first annual Cross-border Environmental Cooperation Conference. The Conference is planned to help revitalize environmental cooperation agreements between Israel, Jordan and Palestine which has stagnated due to the overall political climate. 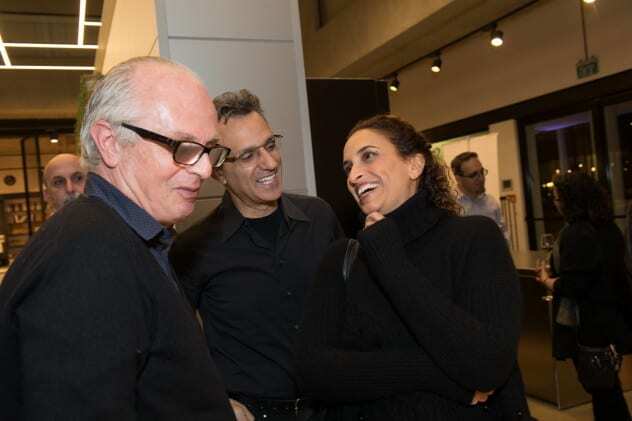 The Arava Institute is dedicated to the vision of a peaceful and sustainable Middle East. 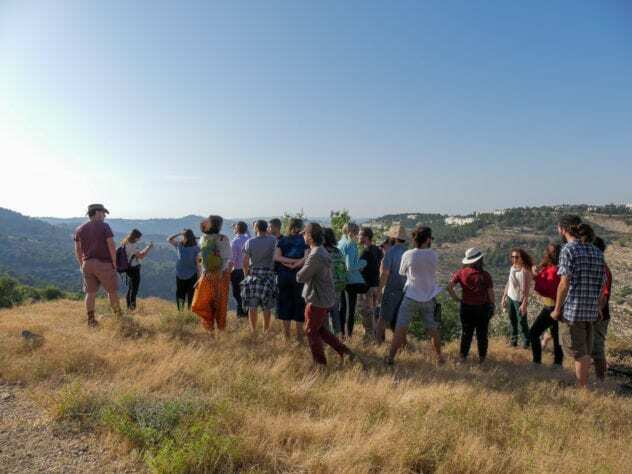 in the past 20 years, the Arava Institute has pioneered cross-border environmental research and cooperation among Israelis, Jordanians and Palestinians because protecting the environment cannot wait for the conflict to be resolved. 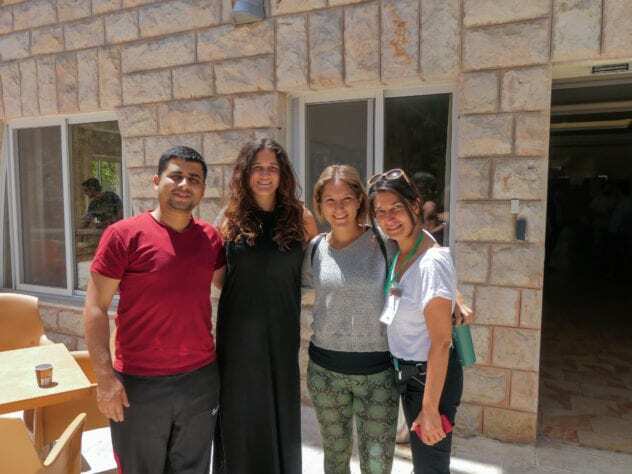 The Arava Institute is committed to bring people together and forge relationships based on trust and a mutual concern for our shared environment, irrespective of the political turbulence in the region. The shared environmental resources of the region must be protected from further degradation and loss, and by reaching agreements on these precious resources we prove the validity of face to face dialogue and our ability to work together. With the mission of advancing cross-border environmental discourse, ultimately aiming to create clear pathways to securing formal and informal environmental cross-border agreements, the Conference is an inaugural step towards the joint creation of this mission. 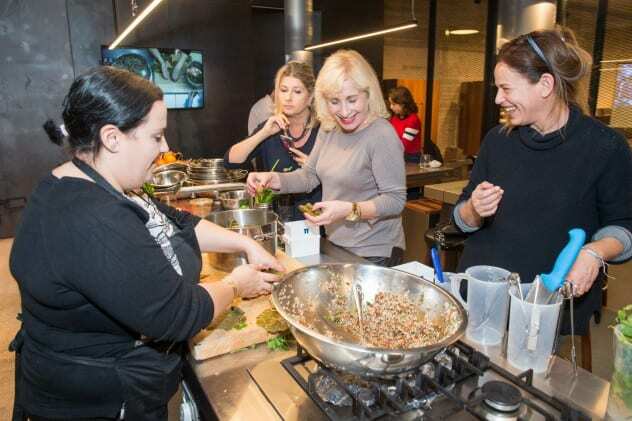 On January 18th, members of the Israeli Public Council and other supporters of the Arava Institute, gathered in Tel Aviv for an exclusive cooking workshop with Israeli MasterChef winner Nof Atamna. 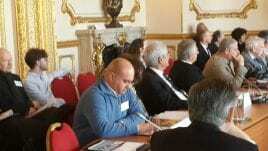 This intimate session was followed by a public reception to launch the 20th year celebrations of the Institute. 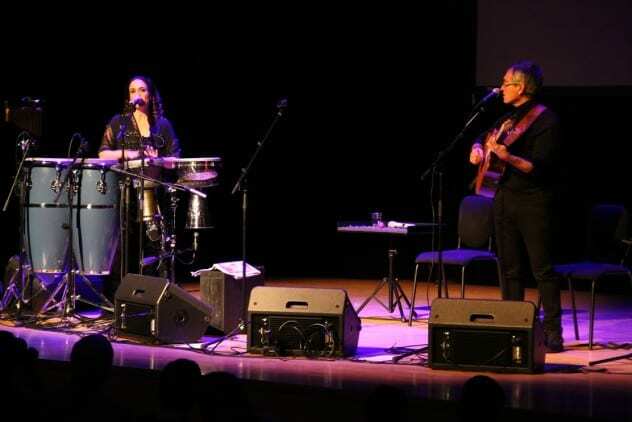 The 20th anniversary celebration of the Arava Institute began on February 14th in Atlanta where Noa and Gil Dor held a benefit concert. 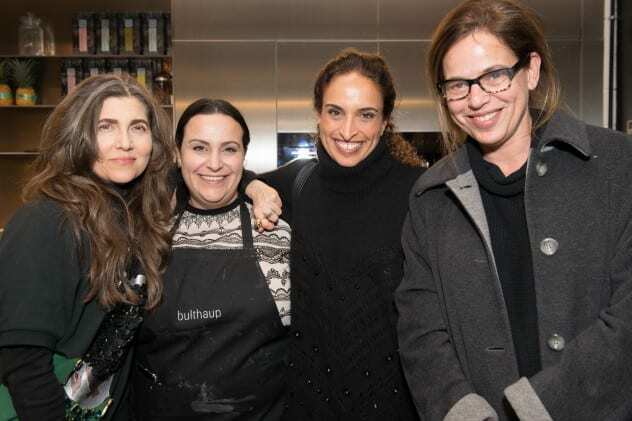 This event brought together nearly 350 people to raise awareness about the Arava Institute’s ongoing work in the Middle East. 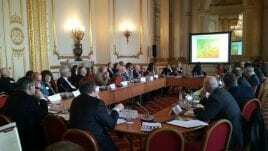 On Tuesday, February 16th, Arava Institute Executive Director David Lehrer, and Dr. Clive Lipchin and Suleiman Halasah from the Center for Transboundary Water Management, and Monther Hind, Director of the Palestinian Wastewater Engineering Group, participated in the 7th Ambassador’s Roundtable on Water Innovation and Regional Cooperation in the Water Sector, sponsored by the Anglo-Israel Association and the Arava Institute, at Lancaster House, London, UK. 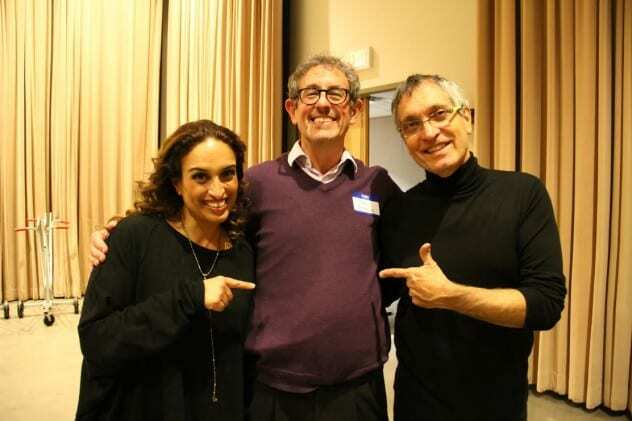 The Friends of the Arava Institute hosted a special performance with Mira Awad and Yair Dalal in honor of the 20th Anniversary of the Arava Institute. 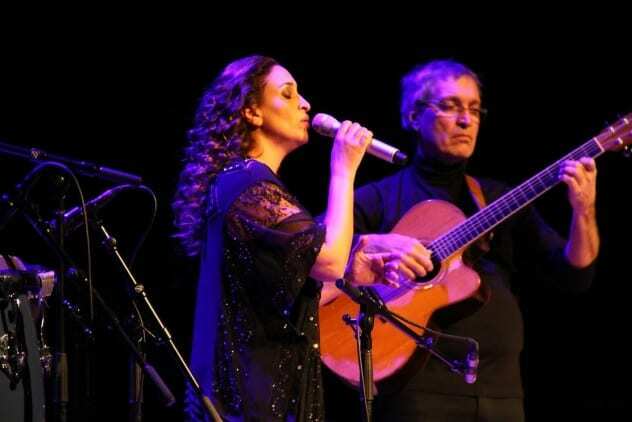 On Saturday April 2nd, the Friends of the Arava Institute had the great honor of hosting a special concert with Yair Dalal and Mira Awad, both musicians and peace-activists. 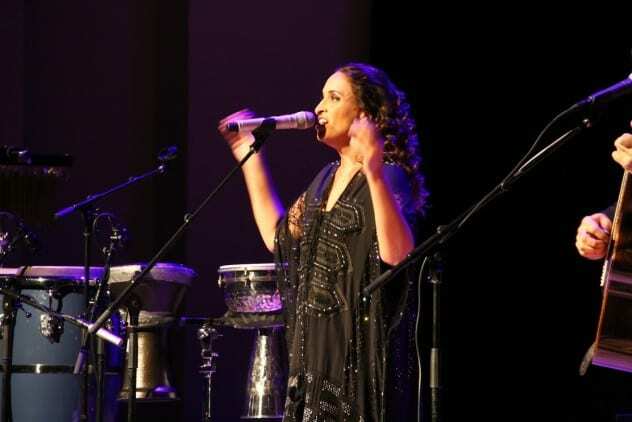 The two joined together for the unique show celebrating the multi-ethnic musical environment in the Middle East as a way toward peace-building. 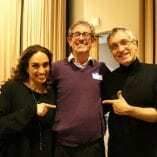 In the intimate setting of the Harvard Faculty Club in Cambridge, Yair and Mira performed for a captivated audience of over 100 guests. 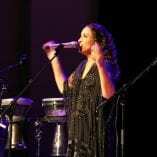 Weaving together a harmonious mélange of sounds from the Middle East, the artists bridged cultures and musical styles. 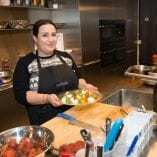 Mira Awad is an actress, singer, and songwriter. 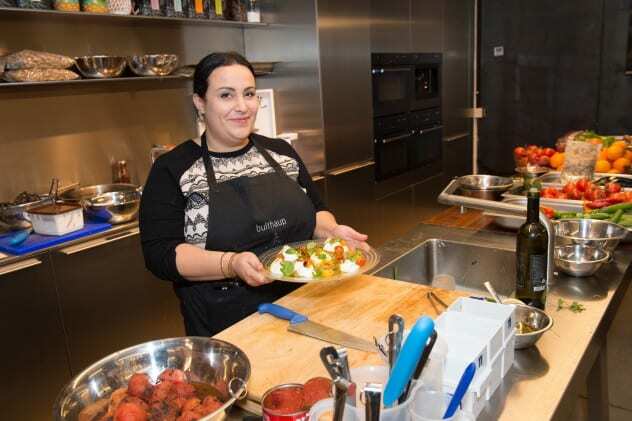 Born in Rama village in the Galilee to a Palestinian father and a Bulgarian mother, she identifies as both Palestinian and Israeli. Mira’s music is a harmonious melange of sounds, with influences from the East and West, combining Arabic melodies and Western harmonies. Mira speaks widely against discrimination of all kinds including gender, religion, and ethnicity. Her beliefs are clear when listening to her body of work. 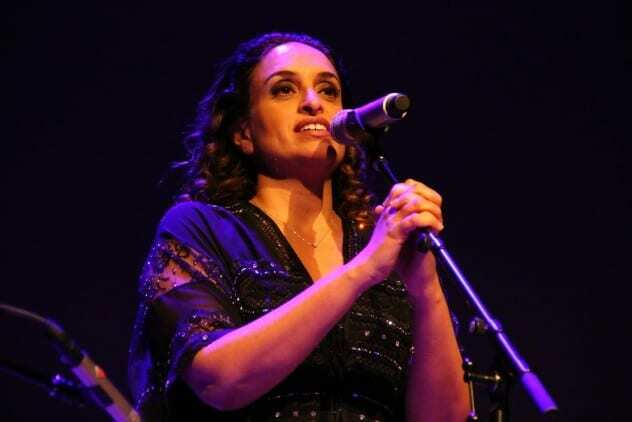 She has collaborated with artists across the Middle East, and the world, in multiple genres. 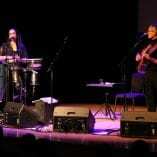 Yair Dalal writes music that reflects his beliefs and upbringing. Born in Israel to Iraqi immigrants, Yair studied classical violin and picked up the oud in his twenties. He lived in the Arava desert and collaborated musically with the local Bedouin tribes. Yair is deeply interested in preserving the cultural heritage of Arab, Israeli, and Bedouin music. 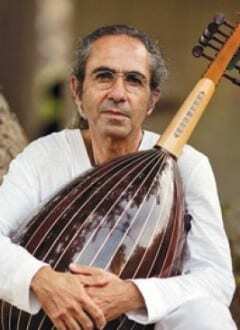 His fourteen albums are diverse and influenced by world music, but represent Israeli, Jewish, and Middle Eastern cultures, fusing them musically and harmoniously. In addition to musical endeavors, Yair is a peace activist, devoted to building a bridge of understanding between different cultures. He performed at the 1994 Nobel Peace Prize gala concert honoring Israeli Prime Minister Yitzhak Rabin, Israeli Foreign Minister Shimon Peres, and Palestinian Chairman Yasser Arafat. To read more about this event, visit our blog. 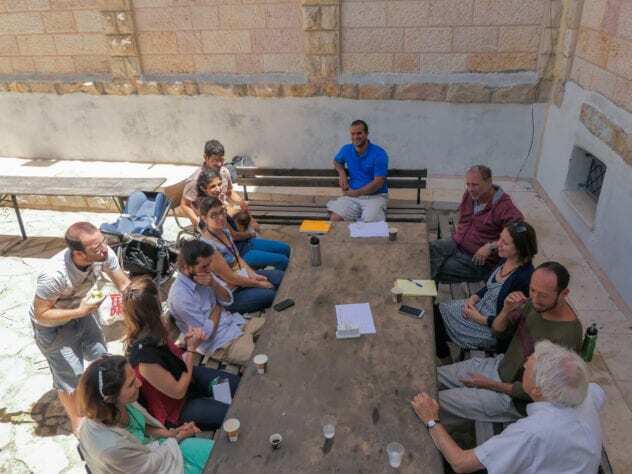 The Friends of the Arava Institute held our 4th Annual Public Forum where we discussed the importance of peaceful coexistence and acknowledging ground-breaking environmental research and achievement at the Arava Institute. 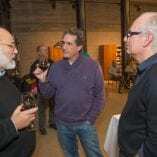 The Friends of the Arava Institute celebrated the 20th Anniversary of the Arava Institute for Environmental Studies at our Fourth Annual Public Forum in Cambridge on Sunday April 3rd. Executive Director of the Arava Institute, David Lehrer shared highlights of major accomplishments of the Arava Institute from the last 20 years and keynote speaker, Ophir Pines-Paz, member of the Arava Institute’s Public Council in Israel who also served as the Israeli Minister of Internal Affairs and the Minister of Science, Culture, and Sport, spoke about the Arava Institute as a rare actor in the Middle East political discourse. Subsequent presenters, including Dr. Shmuel Brenner, Director of the Arava Center for Sustainable Development; Mira Awad, Palestinian-Israeli singer-songwriter, activist, and actress; and Yair Teller, Arava Institute Alumnus ‘09-‘10, and founder and Chief Scientist of HomeBiogas, emphasized using collaboration on environmental issues as a key framework for addressing other areas of disagreement. Alumni Panel speaker, Rebecca Lash (’15) continued this discussion during the alumni panel stating, “We are not going to wait around for leaders to make decisions; we’re building something from the ground up. It is really important to show people that peace-building is not just a top-down thing. Organizations like the Arava Institute can empower people and we can also be a voice for human rights.” The alumni on this panel spoke about the impact the Arava Institute has had on their lives and then answered questions from the audience. Please see below for more detail about our speakers. Ophir Pines-Paz is Israel’s former Minister of Internal Affairs and Minister of Science, Culture, and Sport. During his 14 years in the Knesset for the Labor Party, Ophir was Chairman of the Interior and Environment Committee, which is responsible for local government, citizenship, policing, religious affairs, and environmental protection. Among other honors, he is a receipient of the Ometz Award for good governance and social justice and was a Fellow at the Harvard University Institute of Politics. 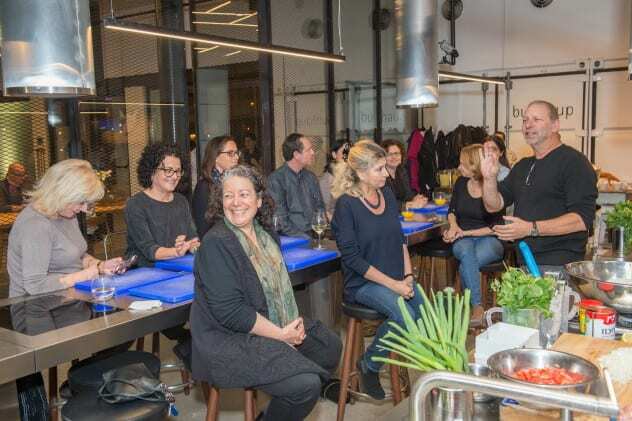 Since retiring from public life, Ophir joined his alma mater, Tel Aviv University, to establish and lead Israel’s first Institute for Local Government. 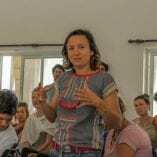 Ophir is also a Member of the Arava Institute’s Public Council in Israel. 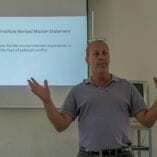 David Lehrer has served as the Executive Director of the Arava Institute for Environmental Studies for the past fifteen years. His belief in the environment as an issue without borders, and an opportunity for finding a common goal, is evident in his professional experience. 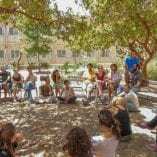 David has helped promote environmental awareness and sustainability in the Kibbutz Movement locally and nationally, and is one of the founders of the Alliance for Middle East Peace. He has conducted research into the efficacy of environmental management systems and into sustainable development in the Dead Sea Basin. 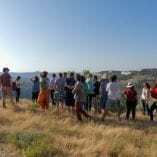 David is currently doing research on the development of a cost efficient model for nature conservation in Israel. 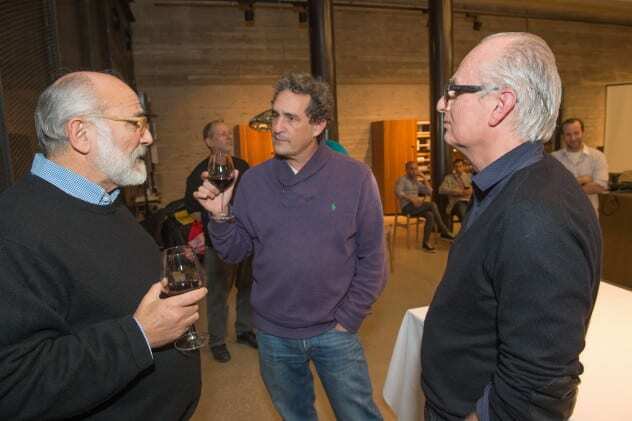 During David’s tenure at the Arava Institute, it has grown to five transboundary research centers. 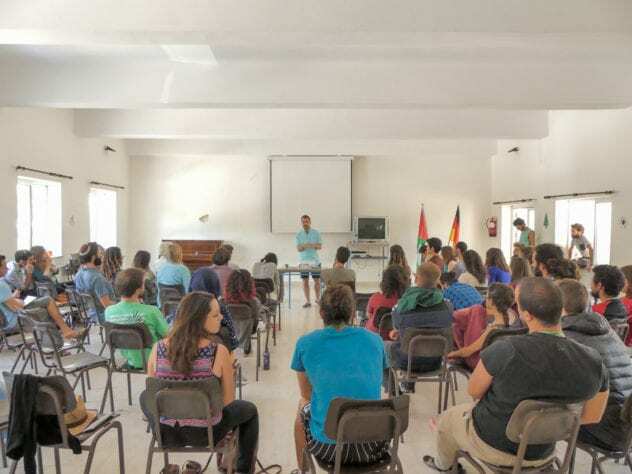 He has shepherded the educational growth of over 650 students and interns from Israel, Palestine, Jordan, North America, South America, and Europe. Dr. Shmuel Brenner’s interest in environmental and public heath issues started more than forty years ago. 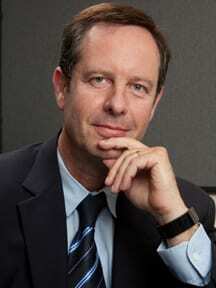 Currently, he is the Director of the Arava Center for Sustainable Development. He was born in Israel, educated there and in the United States. 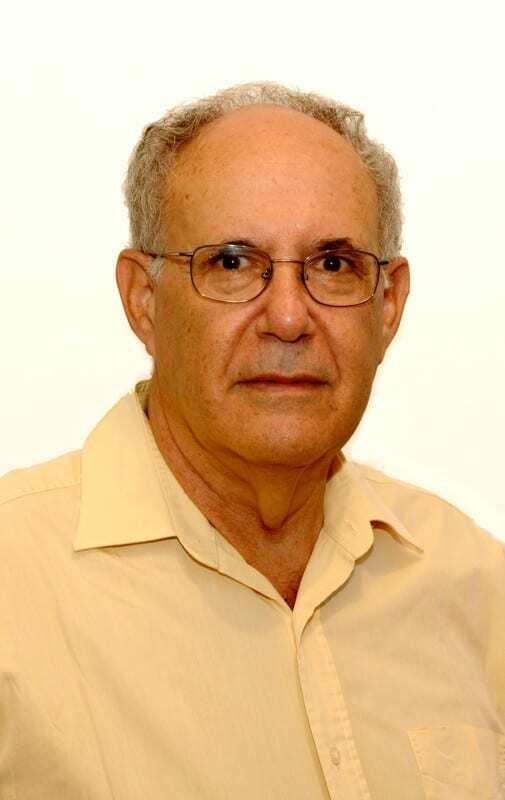 Shmuel has published more than 70 scientific articles, served in Israel’s Ministry of Health as the head of the National Institute for Environmental Health, was one of the founders of the Israeli Ministry of Environmental Protection and its senior deputy general. He was also the former head of the National Institute for Occupational and Environmental Health. Collaboration is an essential element of Shmuel’s professional life – he has worked with the WHO, EPA, IAEA, UNE, NATO, and ILO. Perhaps his most notable accomplishment, while serving in the Ministry of Environmental Protection, Shmuel played an essential role in the Oslo peace process and was directly responsible for the environmental chapter in the Oslo Accord (1995). Yair Teller came to the Institute as an intern in 2009 already interested in biogas technology. During his internship he realized the existing technology was inefficient and there was no connection to the people whose lives the system would affect. 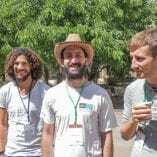 After leaving the Institute, Yair founded HomeBiogas, improved the technology, and has installed biogas systems with the Israeli Bedouin community and in Palestine. Yair’s goal is to continue to cross borders with his technology and extend the reach into the to Syrian refugee camps in Jordan. 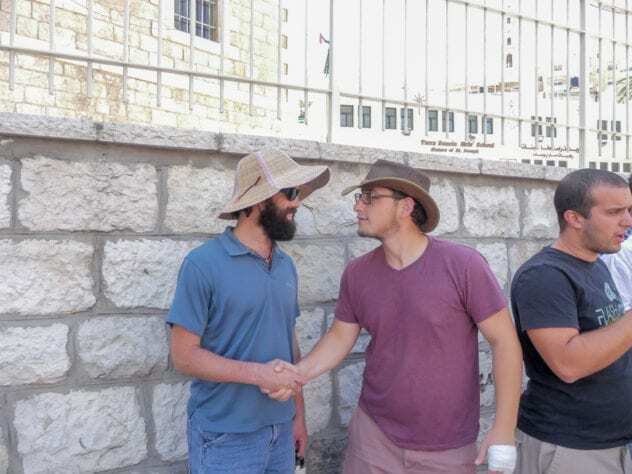 The North American Arava Alumni Network got together for a weekend to share their unique experiences at the Arava Institute and discuss how they have been making an impact in the region upon leaving the Institute. 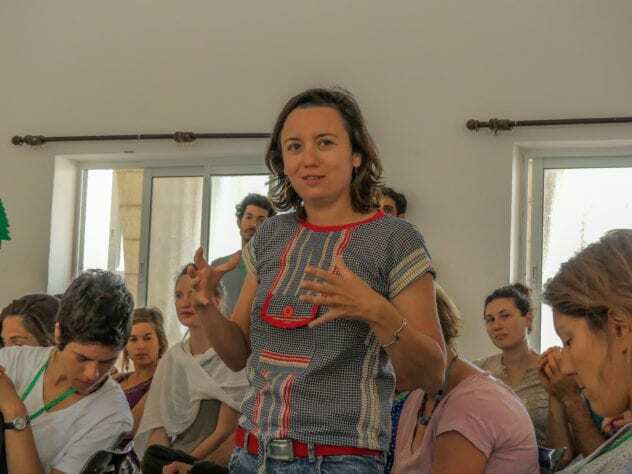 The 4th Annual North American Arava Alumni Network Conference took place on April 2nd and 3rd with 28 Arava Institute alumni coming from places around the world such as New Mexico, Washington, Halifax, and even Ecuador. 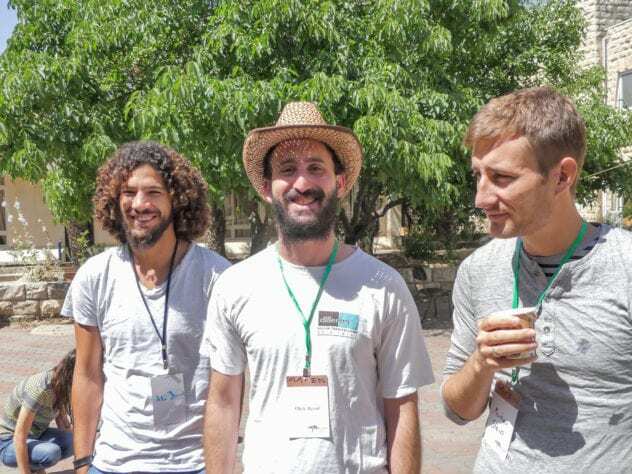 The conference took place over two full days in Cambridge and focused on harnessing the impact of the Arava Institute with alumni upon their return home. The program of the conference was formulated around three alumni examples of continuing and sharing the values of the Arava Institute. The alumni were also able to meet with Kids4Peace Boston, a local interfaith organization that brings together teenagers of different cultures and faiths to promote dialogue and community outreach. During their visit, NAAAN alumni and Kids4Peace students exchanged ideas and experiences around their common goal of fostering connections and understanding between diverse groups. 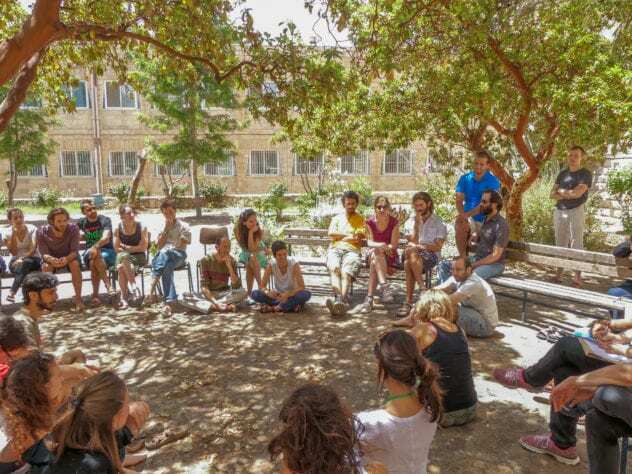 Ninety Arava Institute graduates from Israel, the West Bank, Jordan, and other countries gathered for the 10th Annual Arava Alumni Peace and Environmental Network (AAPEN) Conference. 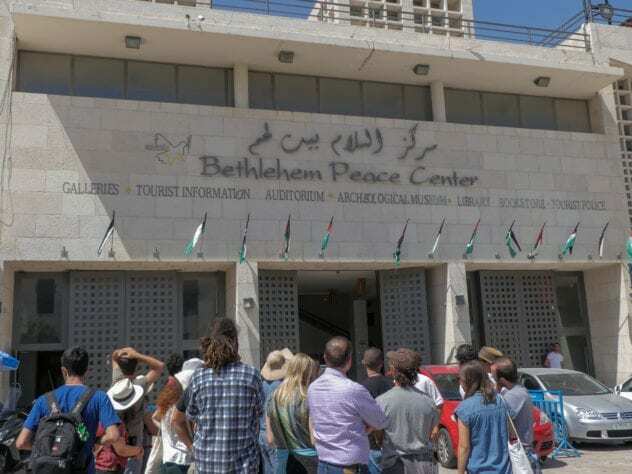 The conference location rotates each year between Israel, the West Bank, and Jordan; this year’s conference took place in Beit Jalla, West Bank. The opening ceremony of the conference included keynote speeches by Avi Buskila, CEO of Peace Now, as well as other speakers who outlined a view to possible solutions for the region.